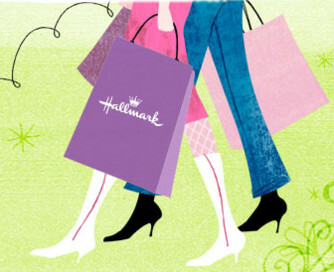 Hallmark: $5 off $5 Printable Coupon!!! HOT HOT HOT!!! Go here to print off your $5 off $5 or more coupon at Hallmark! You should be able to get some FREE gift wrap, a FREE card or two, or a gift bag & tissue . . . This is what I got the other day with my other Hallmark coupon!